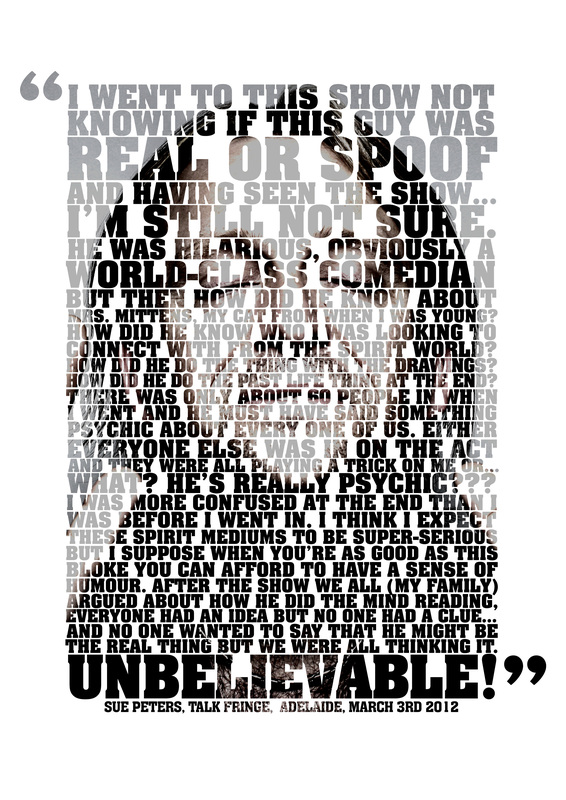 The triumphant return to the Fringe from spirit medium Ian D Montfort with his brand new show “Unbelievable”. Last year, character comic Tom Binns- the man behind everyone’s favourite hospital radio DJ Ivan Brackenbury, wowed the audience with his mind-blowing spirit medium skills in front of a live audience; The Show was a critical success and one of the most talked-about cult hits of the festival. Now, in 2012, Ian D Montfort is back in his primetime slot at Edinburgh. “Ian D Montfort has had a very busy year, over Christmas he enrolled and graduated with a PhD (psudo) at the La LaSalle University, Louisiana. LaSalle is one of Americas leading diploma mills. Dr. Ian D Montfort is now one of Britain’s Leading spokespeople on psudoscience. In Unbelievable there will be a demonstration of Ian’s mediumship ability but that will be part of a wider Psudo-Science Lecture. Having got the hand of contacting the dead, Tom is back doing what he does best- creating masterful character comedy. Mixing wonderfully observed comedy with spookily skilful audience interaction and faintly inexplicable clairvoyant revelations. Celebrated by sceptics and believers, audiences and critics alike, Ian D Montford is ready to showcase his jaw-dropping talents. 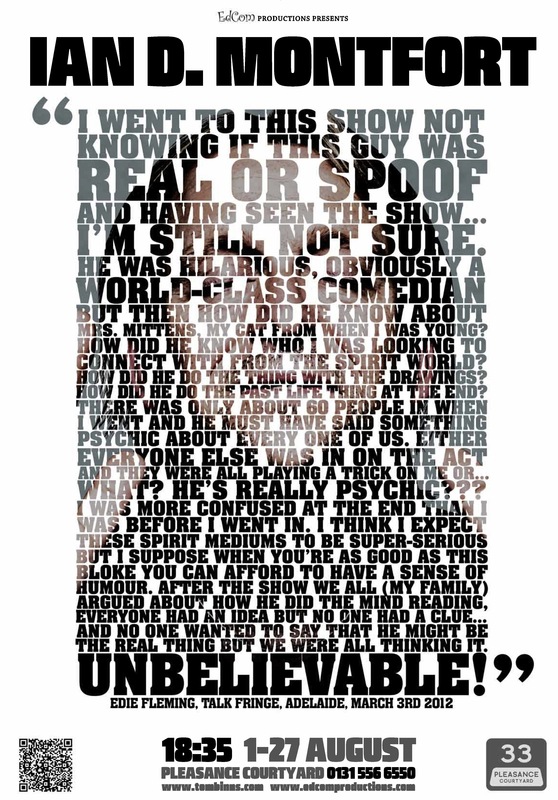 There’s a good reason why Tom’s enjoyed sell-out shows at the Edinburgh Festival since 2007 – he’s bloody funny! But don’t just take our word for it..